The deep economic crises of recent years have fed criticisms of the European union, which is increasingly accused of being a Europe for the banks and not for the people, focused more on the financial sector and not on the needs of its own citizens. Faced with this, European institutions have tried to develop strategies to strengthen the social dimension of the Union, as a way to push EU countries towards a market economy that would be strongly competitive but also capable of guaranteeing full employment and social progress. Among the various initiatives, one of the more noteworthy is that which refers to the creation of a European Pillar of Social Rights. This, it would seem, is now close to becoming a reality. 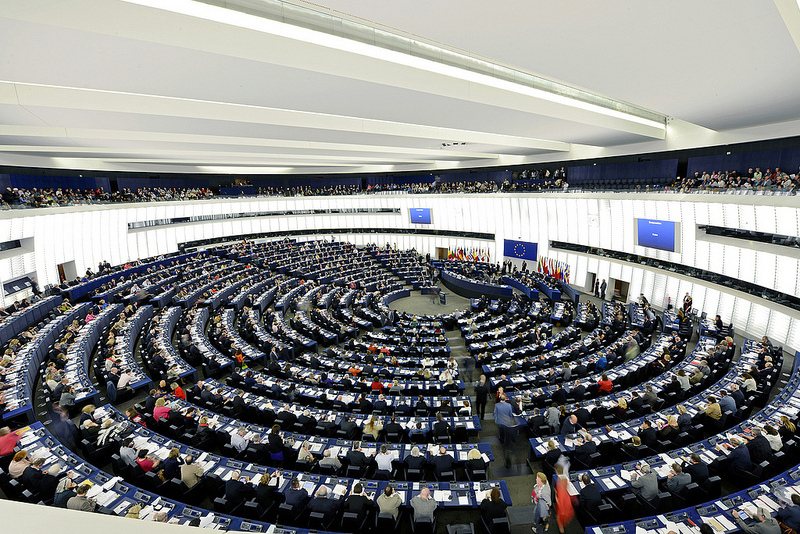 On April 26th, in fact, the European Parliament held a plenary session in which they approved the European Commission's plans. In the coming months, the Parliament will meet with the Commission and the Council to work out proposals for integrating and improving the Pillar. The definitive version will be jointly proclaimed by the three institutions at the Social Summit in Sweden on November 17th. 3) Social inclusion and protection (child care and child support; social protection; unemployment benefits; minimum wage; pensions; health care; inclusion of people with disabilities; long-term care; housing and assistance for the homeless; access to essential services). The purpose of the Pillar is not to establish new principles and rights, but to update and supplement those already present in the EU acquis and international standards, taking into account the profound changes in the workplace and in European society in recent times. With regard to its legal value, the document is intended to serve as a frame of reference for EU states, so that they – taking inspiration from the principles and rights therein – undertake legislative reforms at the national level that will lead their economies towards better living and working conditions for individuals. The Pillar is aimed primarily at euro-zone countries, but is also applicable to any other EU countries that wish to join. The path leading to the approval of the text of the Pillar began long ago. Since taking seat in 2014, the current European Commission emphasised the need to build a more social Europe and, as early as September 2015, President Jean-Claude Juncker had hoped that this would translate into the creation of a European Pillar of Social Rights. Since then, the Commission has worked closely with member states, the other EU institutions, social partners, civil society and citizens, to define the content of the Pillar: in March 2016, it presented a first draft of the text , and a public consultation on the issue was launched, which ended in January 2017. In the last few days, having considered the contributions received during the consultation, the Commission presented a proposal for the Pillar to the European Parliament. To ensure that the principles and rights set out in the European Pillar of Social Rights are effectively implemented, the adoption of the document must be accompanied by further steps, legislative or otherwise. Concrete examples were presented at the plenary session of Parliament by the European commissioner for Employment, Social Affairs, Skills and Labour Mobility, Marianne Thyssen. First of all, a monitoring mechanism, the social scoreboard , will be established, which will measure the progress made by member states in the implementation of the Pillar. Secondly, the Pillar will guide activities during the European Semester, that time of year (January to June) when the EU provides guidance to member states for making the development of their economic, fiscal and employment policies as uniform as possible. There will also be European funds, especially from the European Social Fund, to provide financial support for carrying out several fundamental aspects of the Pillar. Among the legislative proposals, there is a noteworthy intention to adopt a directive aimed at strengthening the balance between professional and family life. New minimum standards – or at least higher standards than those already in place – for parental leave in general, and paternal leave in particular, will be established. The Commission then intends to continue consultations with social partners in order to modernize the rules on employment contracts – to establish minimum guarantees for all workers, including those involved in atypical work situations – and to define new rules regarding access to social protection. Among those who have worked with the Commission on the preparation of the Pillar and its related initiatives, the contribution of the European Parliament has been of particular significance. In a plenary session last January, it adopted a resolution that provided the Commission with numerous suggestions, which render the EU's actions on social matters innovative and advanced, in line with the developments of recent times. For example, MEPs have stressed the urgency of ensuring the rights of all workers, regardless of the type of employment or contract. This would protect workers in recently emerging employment types, such as jobs “on demand” or temporary work on digital platforms. Indeed, the European Parliament has recommended eliminating the use of highly atypical types of contract (as in the case of zero-hour contracts) or at least to limit their use as much as possible (as in the case of work on demand). The MEPs highlighted the extreme importance of ensuring dignified working conditions for interns, apprentices and trainees, including adequate remuneration. They also underlined the need to tackle undeclared work, proposing the introduction of a European social security card, which would allow all workers to keep track of their contributions accumulated inside the single market. Finally, Parliament has reminded the Commission that, in order to ensure the credibility of the Pillar, it will have to be approved and implemented sometime during 2017. Some – but not all – of the Parliament's recommendations have already been accepted by the Commission. This is understandable, since the full implementation of the principles and rights contained in the Pillar can only be a gradual process, augmented over time by new proposals. It still remains for the Commission to undertake further initiatives in the near future which will allow the Pillar to find concrete realization. The document, after all, has an exhortative value, rather than a binding one. However, despite its non-binding nature, the adoption of the Pillar symbolically represents an important and necessary step to push European countries to modernise their employment and welfare policies. In fact, while the social protection systems of EU countries are among the most advanced in the world, these systems still need to be kept in step with a changing society. Otherwise they risk becoming a system of privilege for the few, from which many – especially young people – seem destined to remain completely excluded. Non-discrimination is one of the fundamental principles of the European Pillar of Social Rights. To learn more about how European anti-discrimination policies have evolved, and their impact, you can explore the online course, “The Parliament of rights” , organised by OBC Transeuropa.